Nintendo Channel is an interactive guide to what's new in the world of Nintendo - now available for easy download from the Wii Shop Channel. Watch trailers, mini-documentaries, product demonstrations, and gameplay videos. Browse the game guide pages to get information about your favorite games on Wii and Nintendo DS. 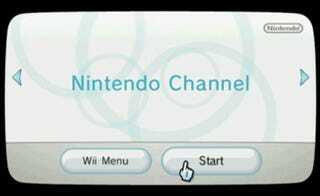 You can even click to order games straight from your Wii, if you have the Internet Channel installed. Make sure your Wii is connected to the internet, and get started! Keep in mind, that last bit of info is key.